The Madras Observatory offers little to the visitor’s eye. Stone slabs and broken pillars lie ignored in a fenced-off section of a local weather centre in the southern Indian city of Chennai. Few tourists venture out to see the ruins of the 18th-century complex. On the other side of the subcontinent, in northern Indian cities such as New Delhi, Varanasi and Jaipur, remains of the Jantar Mantars, vast astronomical stations, are far more popular attractions. Built in the same century as the Madras Observatory, their stark geometric structures, with looming proportions and vibrant colours, make for mandatory stops on travellers’ itineraries. Yet it is the Madras Observatory, and not the spectacular Jantar Mantars, that marks the triumphal fusion of scientific knowledge and imperial power. South Asians had been studying the heavens long before the 18th century. The subcontinent’s first texts on astronomical phenomena date back more than 3,000 years. As was common throughout the ancient world, observations about the movements of stars and planets often served the needs of astrologers and priests. Nevertheless, they formed an impressive body of scientific knowledge, one that was further enriched by contact with other cultures. The Islamic conquest of South Asia in the medieval era brought Persian and Arab discoveries along with it, and the Mughal Empire promoted a blend of South Asian and Islamic astronomical knowledge in the 16th and 17th centuries. The city of Lahore, in modern-day Pakistan, became a centre in the production of sophisticated astronomical instruments such as celestial spheres. By the early 18th century, as Mughal rulers lost control of most of the subcontinent, local rulers used astronomy to promote their own authority. They built the flamboyant Jantar Mantars across northern India to show that, just like the great dynasties before them, they too were patrons of knowledge. 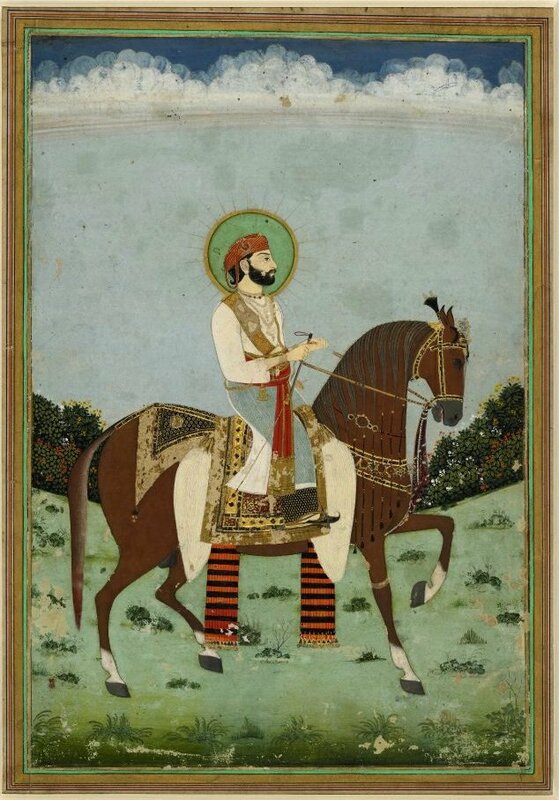 The era’s greatest promoter of astronomy was Jai Singh II, the 18th-century raja of Jaipur. He oversaw the construction of monumental observatories across his domains, using them not only to overawe subjects but also to gather useful knowledge about the lands he ruled. His Jantar Mantars, like others in South Asia, featured massive sundials, sextants and other instruments of observation, but lacked telescopes, which had been invented in Europe a century before. Eager to capitalise on European knowledge, and to show the global reach of his influence, Jai Singh II came into contact with French missionary scientists. 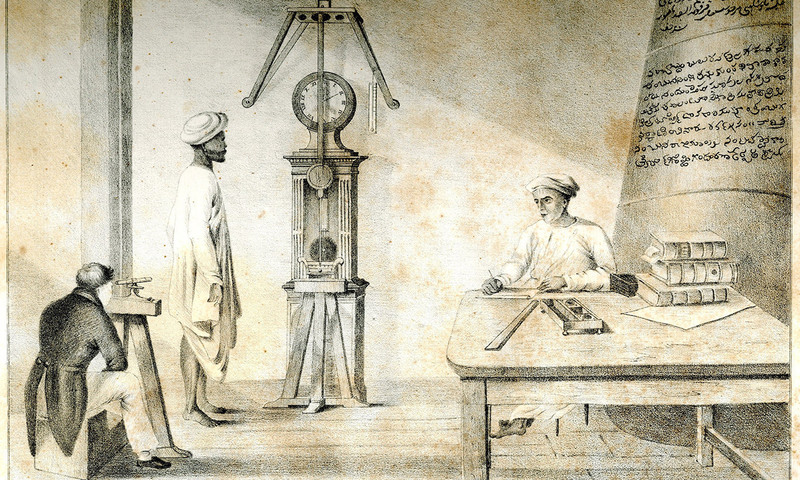 A team of Jesuit astronomers arrived at Jaipur in 1734, and demonstrated the practical value of their scientific advances. By establishing the exact time that the Sun was at its highest over a given spot, the missionaries could determine its longitude, or distance east or west of other points on the Earth’s surface. They established the longitude of several of Jai Singh II’s cities, just as other Jesuit teams were doing for the Qing emperors in China. Offering their astronomical knowledge to Asian rulers, these Catholic missionaries hoped to win approval for their Christian faith, while the rulers they served used foreign expertise to increase their own power. The Jesuits also learned from South Asian science, studying Sanskrit, the classical language of science in South Asia, in order to translate the greatest works of South Asian astronomy. This peaceful exchange of scientific patronage, technology and texts between Europe and Asia was short-lived. After the raja’s death in 1743, scientific activity in his network of observatories faded, and Jaipur’s collaboration with the Jesuits came to an end. New forces entered the fray, as both the subcontinent and astronomy became arenas for the rising empires of Britain and France. Throughout the second half of the 18th century, as the two rival powers fought for control of North America, they also competed against each other in South Asia, staging proxy wars through networks of local allies. They also competed to gather scientific data, sending rival astronomical expeditions across their far-flung empires and using the knowledge gained to control their colonies. While only a few generations before, it might have seemed that the global circulation of astronomical knowledge would bring a new era of understanding between Europe and Asia, this was not to be. In 1792, the British East India Company delivered a stinging defeat to Tipu Sultan of Mysore, France’s only remaining ally in South Asia. In the same year, it completed the construction of the Madras Observatory, one of the first modern observatories in Asia. It was armed with impressive telescopes, still rare in the Indian subcontinent. The observatory was the brainchild of Michael Topping, a British surveyor tasked with mapping the shoreline of southern India. He argued that an observatory was crucial to his task, since astronomy was the ‘parent and nurse of navigation’. But the site was also a tool of colonial rule, a means of showing that Britain was now the dominant power in South Asia. As Topping insisted, astronomy held the key to ‘the sovereignty of a rich and extensive empire’. The East India Company destroyed what remained of Tipu Sultan’s power in 1799, when Tipu himself died in a desperate last battle at his capital of Srirangapatna. Most of his sultanate was annexed by the Company, which soon began an extensive survey of his former dominion. Fanning out from the Madras Observatory, British surveyors used it as a fixed location from which they could calculate the exact location of sites in Mysore. This was a first step to assessing the value of the lands for tax purposes, and bringing the region under direct British control, where it would remain for the next century and a half. The observatories of Jai Singh II, symbols of his kingdom’s independence and cosmopolitan collaboration with European science, were a thing of the past. Alongside other massive British projects of scientific knowledge-collection, such as James Cook’s expeditions to the Pacific (1768-1778), the Madras Observatory heralded the rise of a new kind of science, serving the needs of a global empire and imposing its sway on subject peoples.